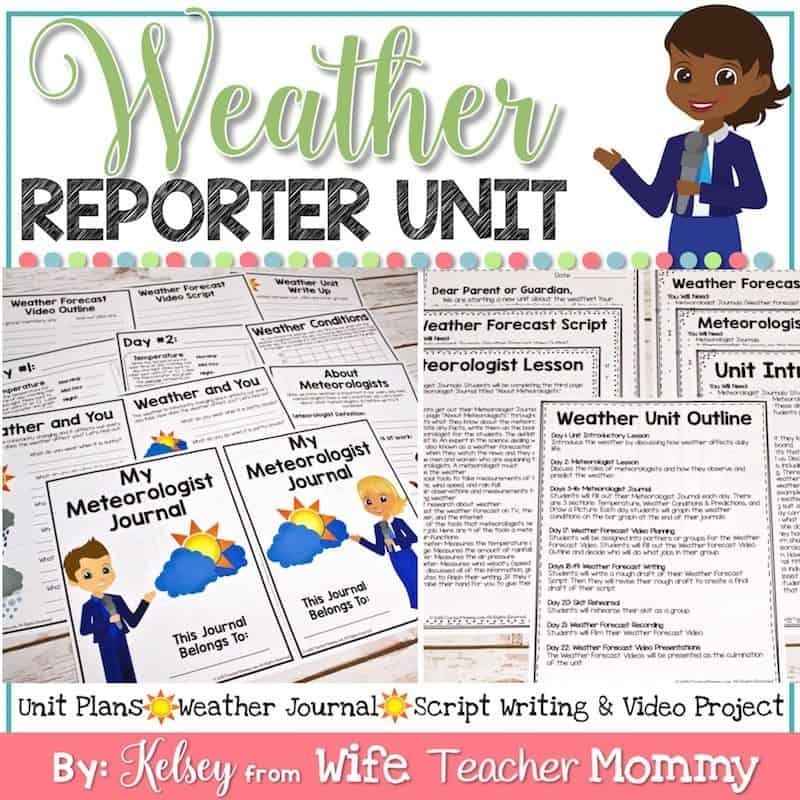 A weather unit where kids learn about the weather by becoming meteorologists! 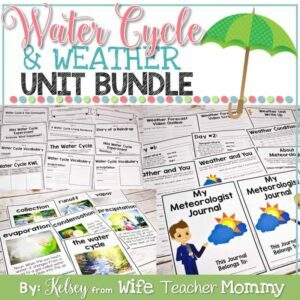 In this unit, students will learn about the weather and its conditions by becoming meteorologists! 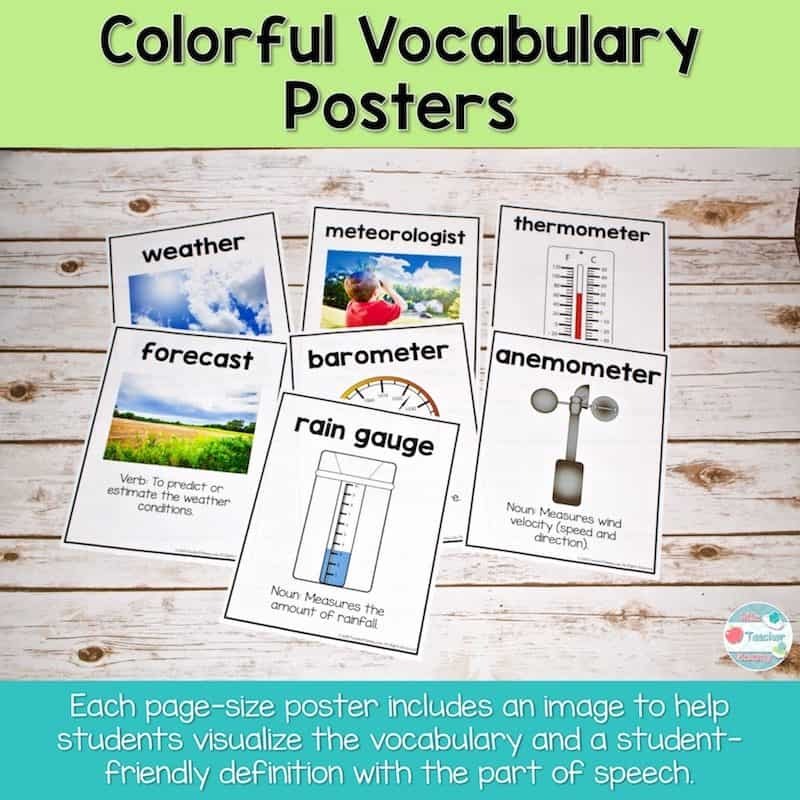 Students will review what the weather is, what a meteorologist does, and weather vocabulary. Then, they will keep a Meteorologist Journal for 2 weeks. Finally, they will record a weather forecast video as their final project. 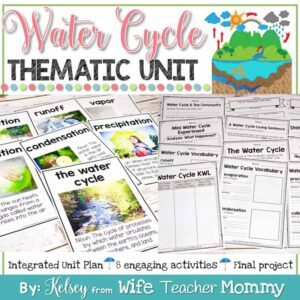 Everything you need for a successful unit is included. 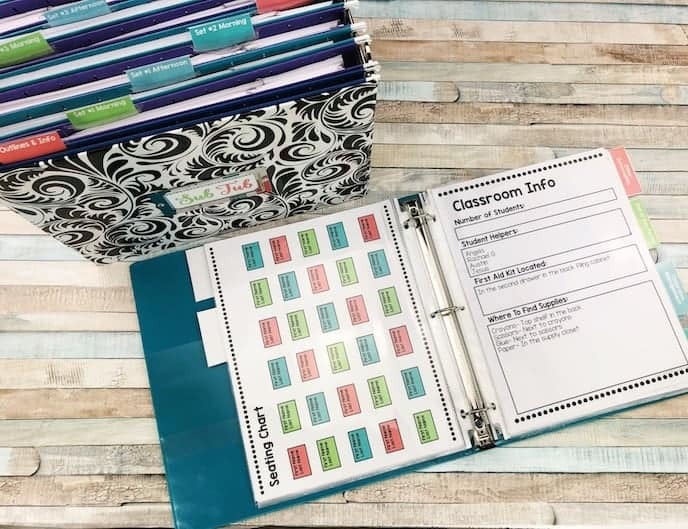 All pages are included in BOTH color and black and white! See the preview below for an overview of the unit. Students will record the temperature for morning, mid day, and night. They will calculate the average temperature for each day and then color in the thermometer. Students will discuss the weather patterns throughout the day. They will use their observations to predict the weather for the next day. Some days they will also be asked what patterns they have seen. 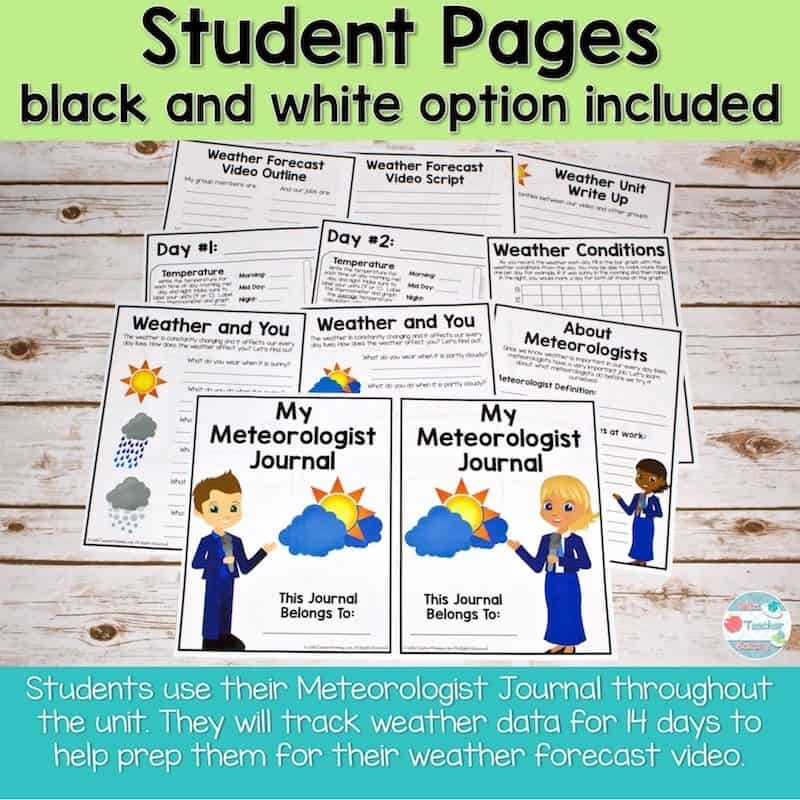 Students will draw a picture of what the weather looked like for the majority of the day.Each day, students will also graph the weather conditions from the day on the Weather Conditions Bar Graph. 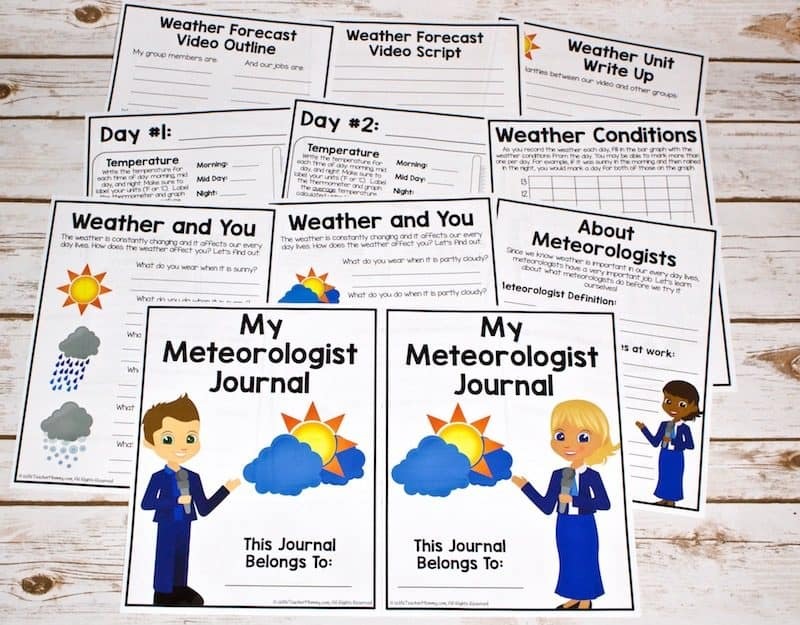 After 2 weeks, the data collected in their weather journals will be used for their final project: The Weather Forecast Script & Video. 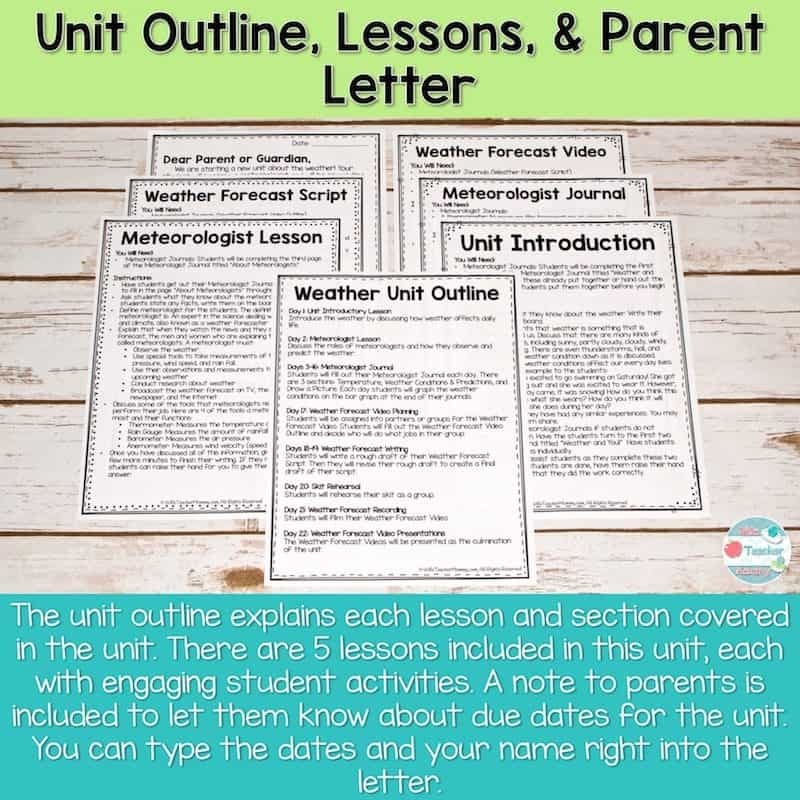 The students will work with a partner or groups to write their own weather forecast and then film it. The videos will be presented as the culmination of the unit. 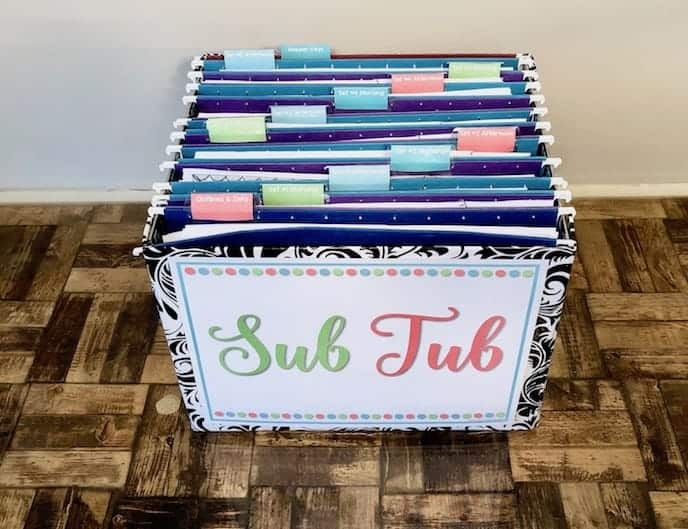 This is a great time to invite parents and other classes to watch the student’s hard work! 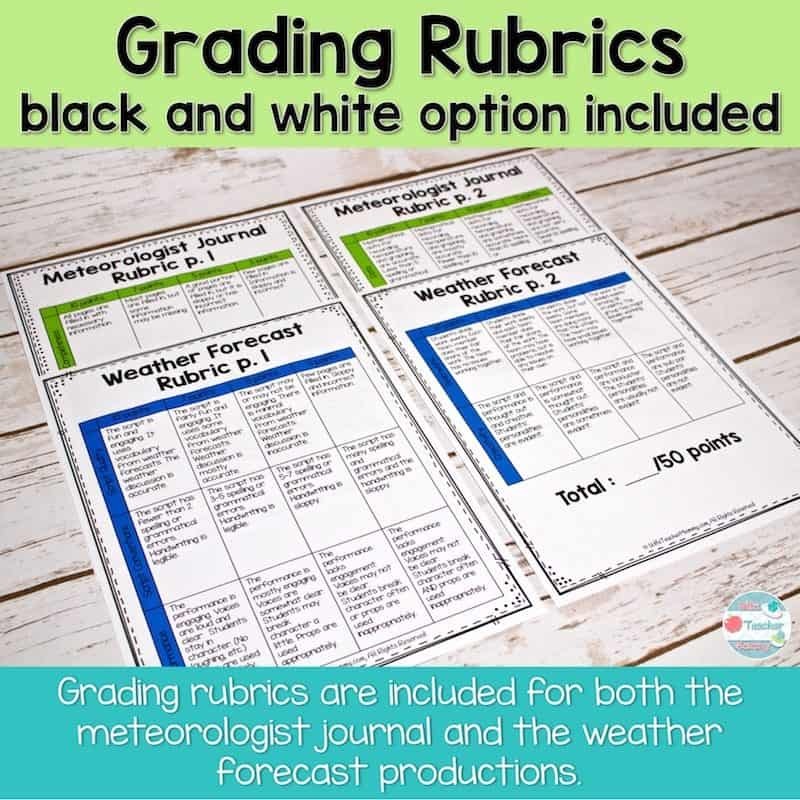 Please review this unit thoroughly before purchasing to be sure it covers the standards you are required to meet and is a good fit for your class or homeschool family (product description and preview)!